Four decades. That’s 14,600 days and thousands of inspirational bikes, compelling people and an awful lot of PG Tips. 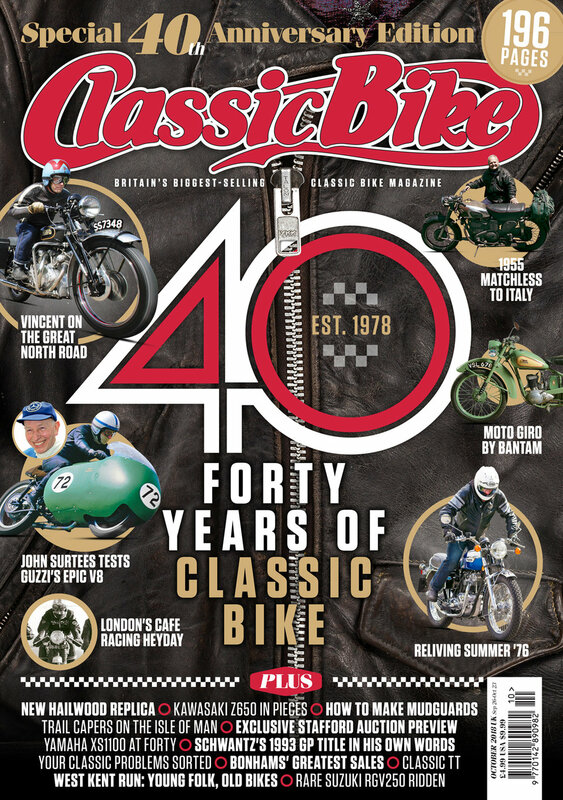 And it means that, now we’re 40 years young, the world’s favourite classic motorcycle magazine has become a classic itself. Through the ’80s, ’90s and 2000s the magazine soared. We got more pages, full colour and went monthly. 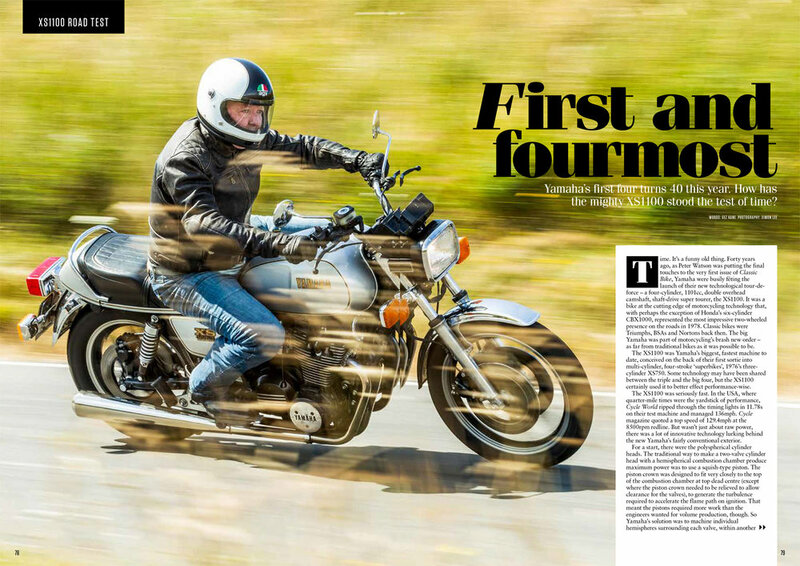 Established as the biggest-selling classic title, CB revelled in everything to do with classic two-wheelers – from iconic machinery, extravagant events and fine restorations to gritty workshop advice, buying insight and hapless road trips on unreliable old knockers. Crucially, the fabulous people that make our world such an entertaining place have always been at CB’s core. In this month's issue a selection of past and present staff celebrate 40 years of our ever-changing classic world and its biggest-selling magazine. They’ve each also selected their most memorable feature from the magazine’s pages, for you to enjoy in full period glory. A lot has changed in four decades. Back in 1978 we would probably never have imagined the internet, or the booming classic race scene, or the prices folk readily pay for a decrepit ‘barn find’. Some things have stayed exactly as they were, mind. Classic Bike still brings you the most intriguing people, greatest bikes, finest events, most amazing tales and genuine hands-on advice. It’s still put together by a group of passionate folk with broad machine interests, a liking for tea (and cake), and their own spanners. 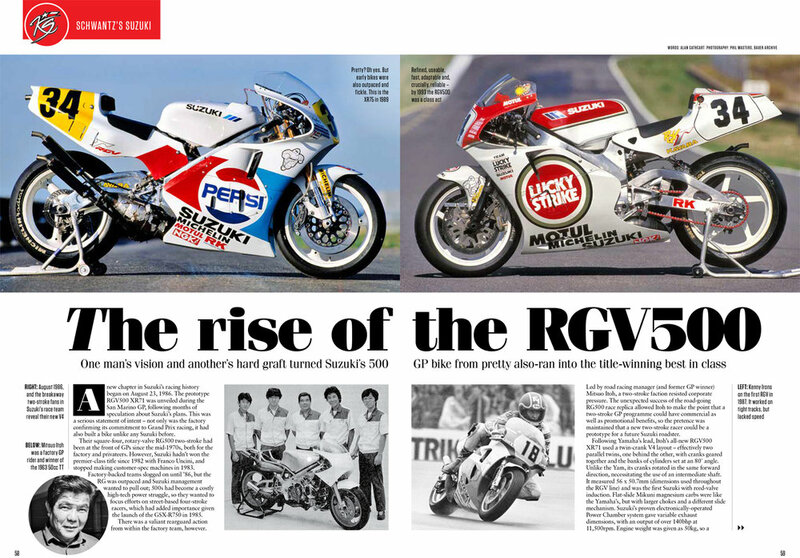 And it’s still the finest classic motorcycle publication in the universe*. Here’s to the next 40 years! Yamaha’s first four turns 40 this year. How has the mighty XS1100 stood the test of time?